The Gulf Industry Fair 2019, a major event being held in Bahrain, will focus on the 4.0 industrial revolution and its relevance to the GCC economic diversification, said its event organisers, Hilal Conferences and Exhibitions (HCE). 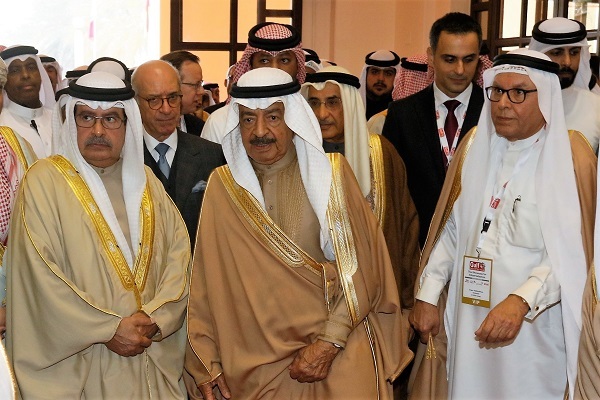 The Northern Gulf's leading event dedicated to promoting industrialisation in the GCC, the Gulf Industry Fair 2019 is being held under the patronage of HRH Prince Khalifa bin Salman Al Khalifa, Prime Minister of Bahrain, from February 5 to 7 at the Bahrain International Exhibition and Convention Centre. Jubran Abdulrahman, the managing director of HCE, said: "The move towards the new era of industry 4.0 will change the way that industrialisation will be perceived. There is a trend towards automation and data exchange in manufacturing technologies." The Gulf Future Industry Forum will take place during the exhibition and will focus on policy issues, products and services for Future Industry with leading thought discussions, he stated. The forum will combine presentations of solutions to challenges as well as leading thought discussions. Its dedicated panels will cover Environmental Impact of Industrialisation; Renewable Energy, and a dedicated panel promoting Women in Business In Industry through Skills and Training Capacity Building. "The Gulf Industry Fair will be providing a platform through the exhibition and the forum to highlight the future of industry which will be a marriage of traditional manufacturing products and supplies with Internet Of Things Technology," said exhibition director Ahmed Suleiman. The event format features the exhibition and the Gulf Future Industry Forum. It will feature companies specialising in the aluminium, energy and environment, industrial metals, industrial processes and anufacturing, ports and maritime, industrial facilities and logistics, training for industry and fire and safety sectors. Gulf Industry Fair 2019 is taking place at a transformative era for the global economy with greater interest in bilateral trade, this is reflected in the country pavilions that we will be hosting at the Fair," remarked Abdulrahman. "Currently we have groups from Holland and Pakistan confirmed and are in discussions with groups in India, Germany and Turkey," he added.